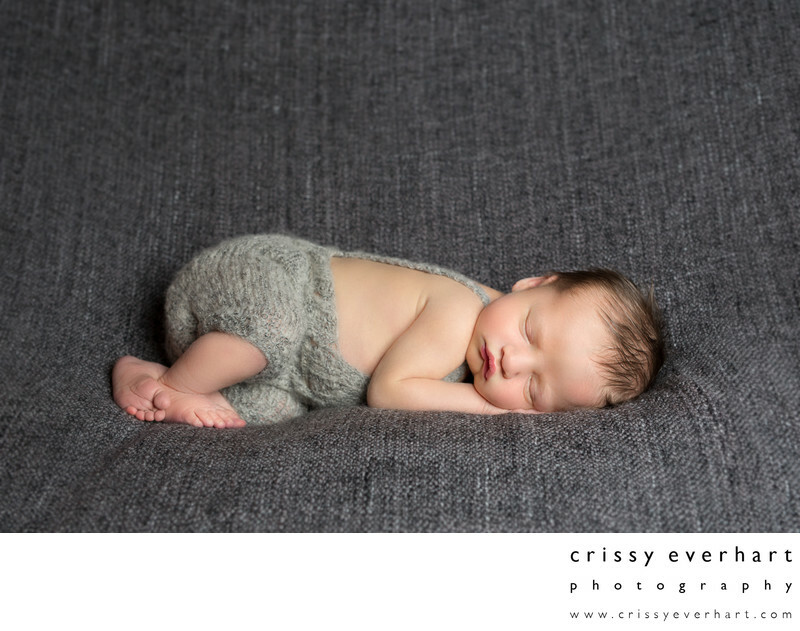 This 8 day old baby boy sleeps in knit overalls on a grey blanket/backdrop. He was a little tough to settle at first, but in the end he was a perfect model! Newborn sessions can often last a few hours, as I allow time for them to nurse, have a bottle, get a diaper change, and get some snuggles. I heat up the room so it is nice and comfortable for the baby, and mom and dad can even sit and relax while I rock the little one to sleep.